…that I am a fan of the massage. I get it now. I had my first ever massage last week. It was beyond awesome. 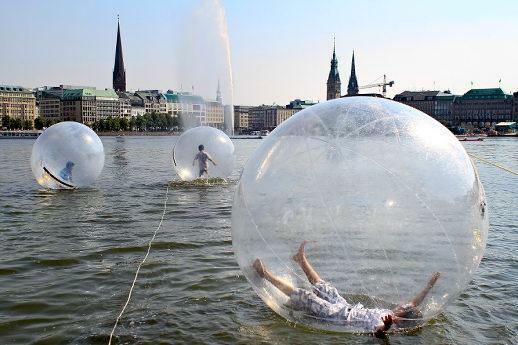 I had always thought it might be a fun thing to do, I just had not committed to doing it. I wondered if it would be worth the expense. I questioned if it would be truly relaxing. I had even bigger doubts about being au natural around a stranger. gasp. I am a very VERY private person. But a massage is on my bucket list so I took the plunge. I even had a male masseuse. As I was walking in I thought to myself maybe I could have taken a smaller plunge and started with a female stranger masseuse. Nope too late to back out now. I am not going to say I was completely at ease with the whole “draping” process. Which is what they called the sheets covering your, ahem, essentials. But, after the initial awkwardness it was really great. I learned not to fix your hair before you go. It will get messed up. And not in a ‘I am a model here is my slightly mused exotic coiffure.” Nope, more in a crazy you accidently overslept hairstyle. And the other lesson was eat some food so you’re not hungry and your stomach growls. Oh wait, that is not massage specific that is a life thing. Eat some food at a regular basis so you are not super hungry and don’t eat too much food because that can also cause stomach discomfort. Not anything new there. Right. Moving on. So I decided that instead of crossing massage off my bucket list. 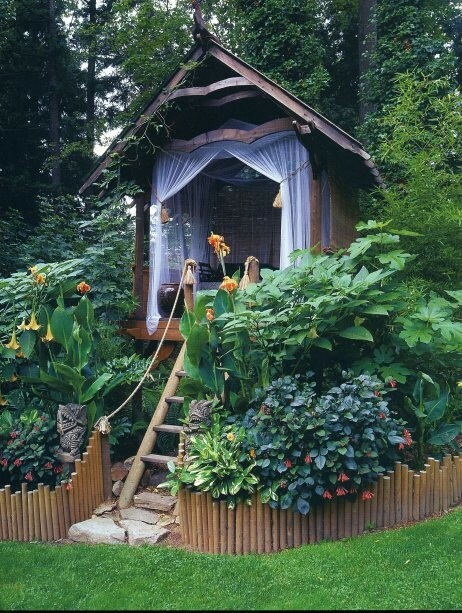 I am now going to change it to massage outdoors. Sneaky, hmm? 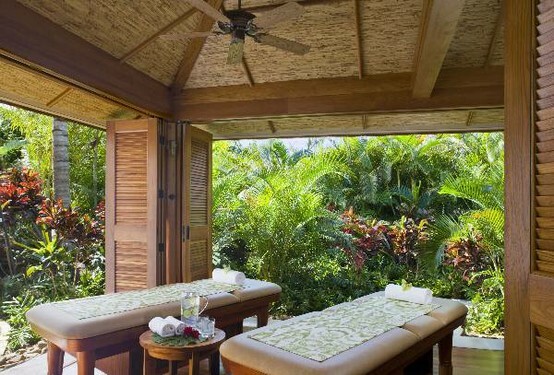 How rad would it be to get a massage in a tropical paradise? While I am over here dreaming away of a massage with the sounds from the ocean and the gentle breezes of being by the water.. Ah, lovely dream… Are you guys supporters of the art of massage? Have you had good expeiernces or some less than stellar? 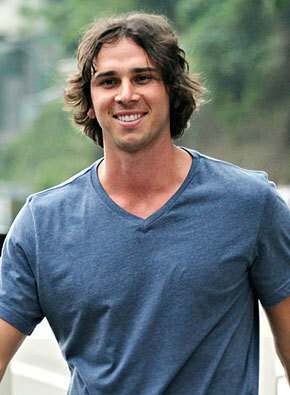 What I have learned from the Bachelor.. I know some of you might be thinking, she thought she learned something while watching the Bachelor? That show on TV? She has officially lost her mind. Well maybe. Stay with me. I am not a Bachelor/ Bachelorette expert. I don’t try to keep up with the latest rumors. And I can’t keep the girls names straight. So definitely correct me if I get it wrong. The 2 girls sent home both said, “I just don’t know what I did wrong” The only thing you did wrong was the ugly cry on national TV, I feel you might regret that one later. The ladies refer to how they feel in their heart, a lot. You ladies may be thinking about how you feel in your heart but I believe that the Bachelor may be using another organ, in an entirely different region of his anatomy in which he is making the “educated” decision to keep girls around. A girl skinny dipping with him and the other ladies show him their assets. I’m just saying he may not be keeping you around for your, um, heart. A lot of talk about winning. They want to win it. What is it? They want to win Ben the Bachelor’s love? I’m probably not an expert on love. But I’m thinking, love isn’t about winning. Call me crazy. Are we sure he is worth crying over? I don’t know him, so maybe he is. I do know he can have a bad hair day. What? He does, I’m just saying. He is human like the rest of us. And some of those girls are pretty(they maybe crazy, but that’s a post for another day)! Can’t they look in the mirror and realize they are not exactly desperate. After all I already established a guy, just may, occasionally, think with his lower body parts about who he would like to date. P.S. I do give Ben some credit he does say rad and you know how I feel about that. I am in denial. I am stubbornly refusing to accept it is time to get back to reality and that the holidays are in fact over. I still think it is the magical time of seeing pretty things and eating tasty delights. I don’t want to see the continuous loop of weight loss commercials. Are you sick of them yet? Or should I check back with you in a few days? Ironically, the Subway TV commercials are for their newest Angus sub, that looks like a couple of burgers in sandwich form. Subway, home of “Eat Fresh” and “lose weight with Jared” fame, doesn’t seem to be launching into the new year in a vegglicious way. In true denial I purchased Egg Nog this week. Yes, you read that correctly this week. Well past the socially acceptable time to consume 1,000* calorie beverages. (* slight exaggeration, but only slightly.) My sister-in-law, of the breakfast pizza fame, taught me a perfectly evil awesome new trick of putting eggnog in my coffee. It. is. rad. 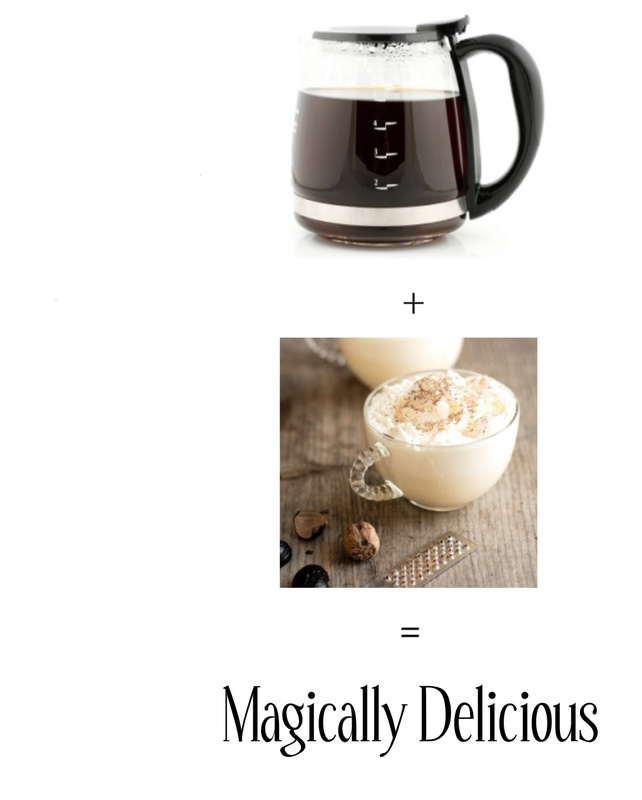 Plus eggnog = Magically Delicious. 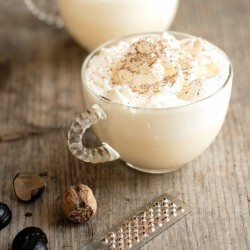 Add I am still going to be dreaming of sugar-plum fairies in my “faux” holiday world over here. 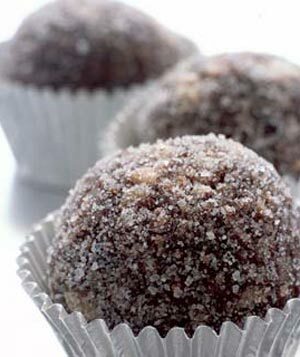 Sugar Plums. Maybe if the fairies don't show up I can make them myself? Happy Wednesday, my little sugar plums. 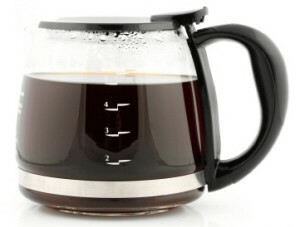 It is Thriving, Thrifty, Thankful Tuesday to kick of the year 2012. Plus I added in some extra radness because, well, I gotta put in some effort getting RAD back. These things don’t just happen you know. (to prosper; be fortunate or successful. to grow or develop vigorously; flourish.) My hope for everyone this year. For pretty clothes and chocolate. I bet you thought I was going to say something better, like I am thankful for my family. I am! But that is the obvious answer, too easy. 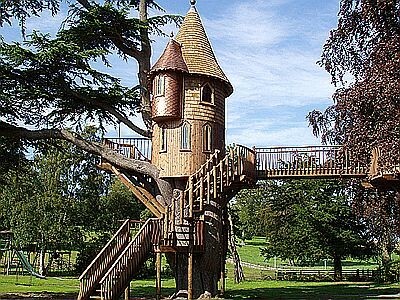 A treehouse that is adult-sized. 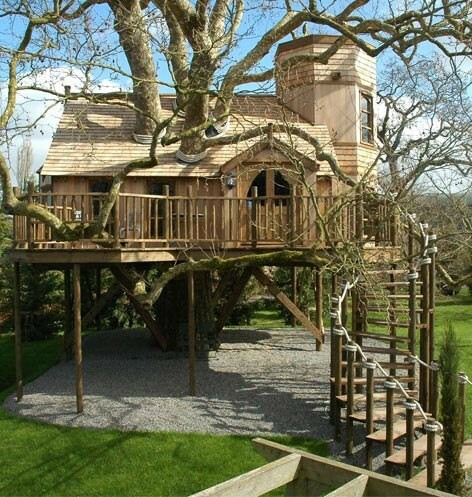 A house in a tree with a spiral staircase. 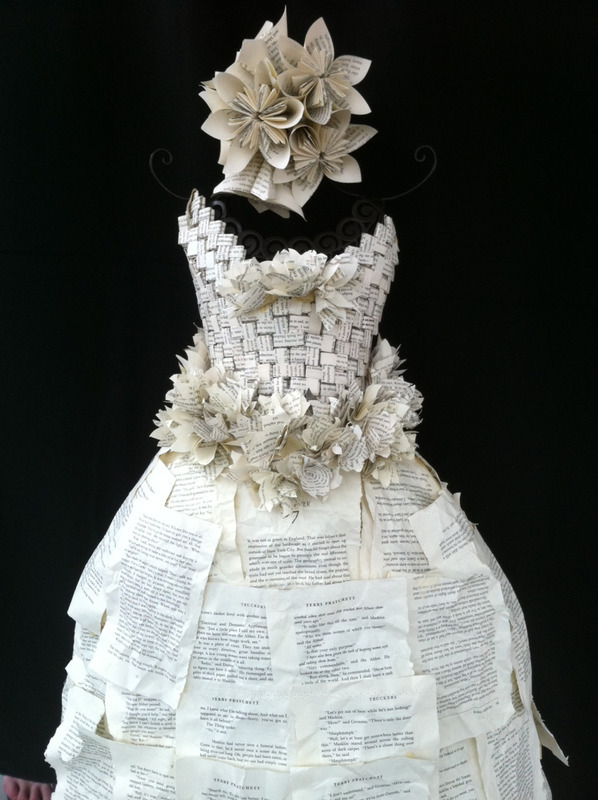 A wedding dress out of discarded books.